When it comes to creativity, our team is used to thinking outside the box. When a group of us decided to participate in the Furniture 4 Kids charity design contest, we got creative about a box. The challenge was to transform an ordinary wooden box into a functional, one-of-a-kind toy box for children ages 3-5 years old and then compete against other box teams. 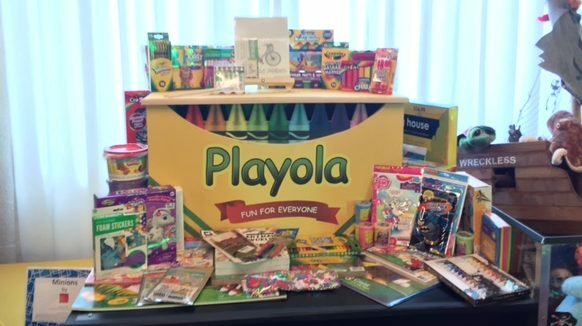 All of the unique toy box entries would be judged and auctioned, proceeds benefiting the Dallas child advocate agency, Vogel Alcove. As part of our research and learning, our team visited the Vogel Alcove child care center and meeting their staff that help our community’s homeless children and their families. From our facility tour we found inspiration in the power of childhood imagination despite overwhelming adversity. As an agency that understands and values the power of creativity and design, what better way to encourage a child’s imagination than through art. Creativity comes in many formats, but for most kids their first introduction is through the endless possibilities inside a box of crayons. 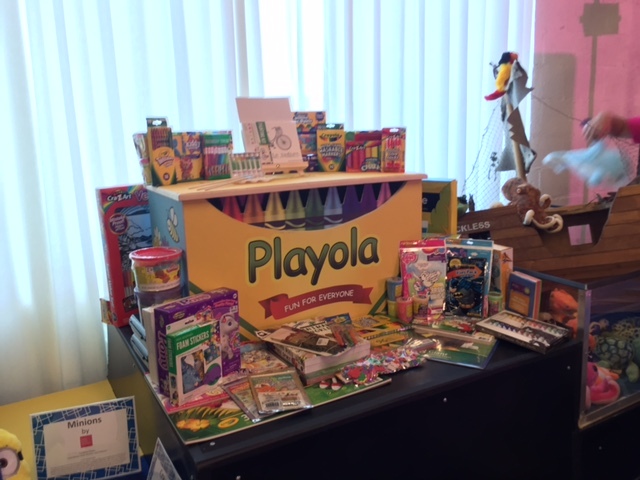 With the help of Insite’s friends at Graphic Identity Services and donations pouring in from everyone at our office, we created a giant crayon toy box and filled it with every sort of art supply imaginable, everything a child would need to bring their imagination to life! Our box, and our team, was in great company at the Furniture 4 Kids charity event. Along with the showcase and voting on all the boxes in the design contest, our attending team participated in the many raffles and auctions throughout the evening as wells as enjoying the live music and tasty catered treats. 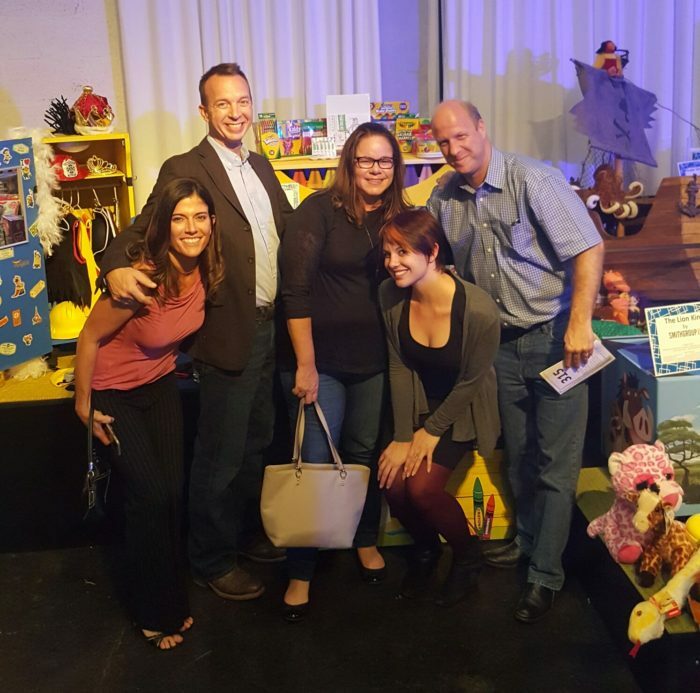 From the functional design toy box challenge to the charity celebration, our team enjoyed getting creative for a good cause. A few Insite team members celebrating at the Furniture 4 Kids event!